We were worried at first when we decided to book if we made the right decision to leave all the wedding planning to someone else. Even tho we only communicated via email, once we got in touch you answered all our questions and put our minds at rest. We then sat back and enjoyed our stress free wedding planning! We are so glad we picked you for our wedding. The day went without a hitch. Our guests all say it’s the best wedding they ever attended. 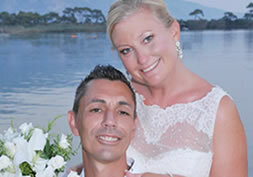 The setting was stunning and we still can’t believe we were so lucky to get married on the beautiful lagoon. The food was fantastic. Photos and video are amazing. We would do it all again in a heartbeat. Once again thank you all for your hard work. You made our day the most special day we could ever have asked for. 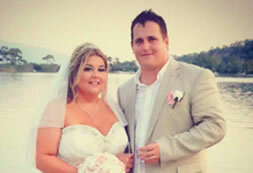 Hello, just wanted to say a massive thank you for making our wedding so special. From the start everything was so professional, all questions were answered so quickly and everything was so straightforward. As we are both Turkish residents the legalities for us were a little different and we still had to do the Antalya trip for our paperwork, again this was very professionally oganised and was no trouble. Our colour scheme was royal blue, however at our pre wedding meeting the blue they offered us was no where near our colour, Aaron reassured us that he would order in royal blue chair sashes/bows and to relax, when they came in they were identical to our scheme, we were thrilled and couldn’t believe the lengths they went to for us. On the day everything ran smoothly and the set up was stunning. It just seemed to be over so quickly! The only downside I would say is that we did a playlist, which was passed on to the DJ that we booked, however he didn’t play hardly any of our songs, so we were a little dissapointed on that aspect and wished we’d have just done our own music for the night. We received our photo album 2 days after the wedding and the 2 discs, 1 incuding all photos taken by the photographer (over 500!) and the dvd of the actual wedding and night, we were extremely happy with the photos and loved the album that they came in! I can’t thank you all enough, you made our day so special and stressfree, would highly recommend you! I just want to start by saying a huge Thank You to Carole, Lynette and Aaron team for making our day so much better than we could have ever wished for. After visiting turkey and the blue lagoon beach on a holiday we decided it was a perfect location for our big day, and it really was. 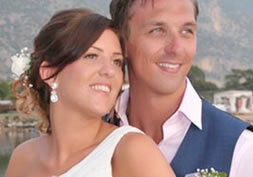 We searched the web on our return for a wedding planner who could help us when we came across your website. Straight away it stood out from the rest and after reading the testimonials and reviews online we knew you were the right people to book through. The price seemed way too good to be true compared to how much people pay here, and they have much less chances of the great weather. As well as this the reception packages were exactly what we were looking for. We didn’t want a 3 course meal or anything because we wanted it to be more informal and chilled out so the BBQ seemed like a perfect option. It is hard putting the planning of your wedding into someone else hands but you made it as easy as it could possibly be. Even with the changes in the legislation and the process changing you made sure we knew exactly what was needed and what we needed to do. It just made it so easy. When we got there we spent a few hours with Bulent taking care of the legalities in Fethiye and to pick our cake and flowers. It just made it all the more exciting. Even though Aaron tried to convince me I had to say my vows in Turkish and Bulent tried to tell the doctor that I needed a dreaded needle HAHA. They were great. Our guests were laughing at us on the big day because we were so relaxed, the only thing I was nervous about was falling over, which I nearly did!!! 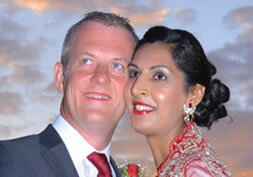 The ceremony didn’t take too long which we were happy of as my husband isn’t keen of being centre of attention J. The layout of everything took our breath away, it was stunning, every single part of it. 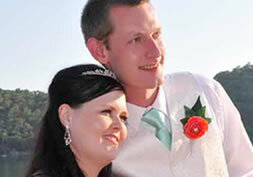 Every detail was thought of Aaron and Lynette team were there for the whole time to make sure everything was perfect. The food was fab, for BBQ we had steak and chicken, they served with chips, pasta, salads. It was just perfect and not too heavy for a night of drinking and celebrating J. We had the DJ as we didn’t want the hassle of sorting our music and I would really recommend him, he played all requests and really helped make the atmosphere. We also surprised our guests with the fire dancer and they were so impressed. He was fantastic and really was something different to what you see at weddings in the UK. The photos we delivered to our hotel the day after. The album was beautiful and we got a disc with the video and the rest of the photos which were taken. We loved them. I honestly can’t speak more highly of you and your team and I will continue to recommend you to any newly engaged couples I know! 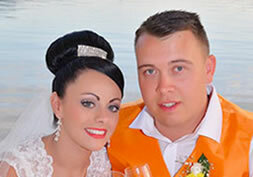 All our guests had an amazing time and even comments of the best wedding they had been to. So relaxed and perfect. If I had to give any advice to future brides I would say, if you haven’t already, book with these guys, they really are the best. Don’t underestimate how quickly the wait goes, it will be here before you know it and on your big day take a minute to look around and take it all in, it goes so fast and there is really is no happier moment than marrying the person you love surround by your favourite people in the most stunning location. Thank you again for being so great, patient and making our day more than we could have ever wished for. 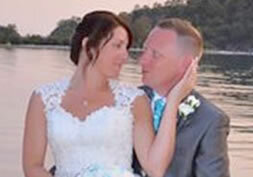 Finally getting round to sending our testimonial for our beautiful wedding which took place at Nicholas beach on the 29th August 2014, from start to finish we had the most amazing time and we can’t thank both you and Aaron enough for organising such an incredible and perfectly planned day! As any bride knows planning a wedding can be the most stressful experience but putting our faith in you guys took away all that stress, none of our friends or family could believe how calm and relaxed both myself Rob were in the months and days leading up to the wedding and that’s all down to having the best wedding planners. The paperwork and legal work both here and in Turkey were so easy and well explained we couldn’t believe how straightforward it all was, you were on hand at all times if we had any questions regarding what we needed to do prior to arriving in resort. 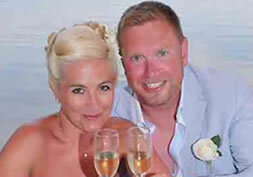 A few days before the wedding we were picked up and taken to Fethiye to complete the paperwork and choose our cake we had such a lovely time with Bulent discussing what music we would like him to play at our reception we couldn’t have asked for a nicer guy to help us that day. On the day of the wedding Rob was picked up along with our guests and taken to the beach and i was picked up in a beautiful white car which took me and my dad to the beach where everyone was waiting, once I arrived the sight of the ceremony location and reception area took my breath away it looked truly beautiful and from that moment I knew we had made the right decision to get married there. The ceremony itself was beautiful the vowels are just perfect and everyone commented on how lovely it was, we then had our photos taken which I have to say are such great quality and the photographer really captured the beauty of everything without being overbearing or in your face it was all so relaxed and natural. Just what we wanted. The DVD is fabulous too, we can’t stop watching it and reliving our dream day. Then the fun really began, we went for the all-inclusive option and the food was out of this world our guests are still talking about how lovely it was now, its such great value for money and we definitely made the most of the bar too, I have to mention the staff behind the bar, they were so friendly and they couldn’t do enough for us. The speeches and the cake cutting again were great and our first dance was magical and then we danced the night away with all our family and friends! What more could you want from your wedding day. I can honestly say we had the most perfect day and a day we could not fault, hand on my heart I would recommend you guys to anyone wanting to get married in Turkey. Thank you again for all your hard work and everything you did for us. And to anyone reading this who is still undecided about taking the plunge and letting these guys arrange your wedding, please go for it, you wont regret it, they truly are experts in what they do. 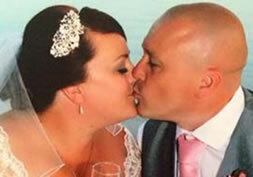 My husband and I married on Friday the 13th of June 2014. I have to say from the day we first contacted Aaron to the day we married nothing was too much trouble and everything was made so easy for us. (why do people stress when getting married?) 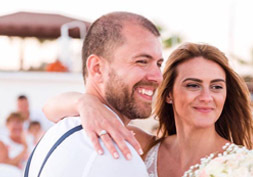 Our wedding day was totally perfect down to every last detail, I would highly recommend Aaron and Lynetteif you are choosing to marry in Turkey. Me and my husband would like to thank the team for the most amazing day ever the 5th June 2014. 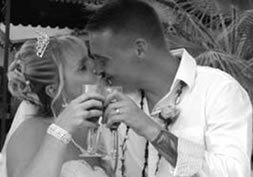 From the minute we booked to our wedding day they where fab,everything i needed to know they got straight back to us and everything i wanted they made sure it was done, the day was just perfect. 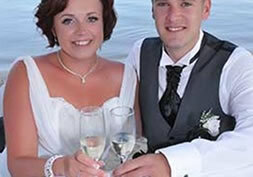 Everyone that came said it was the best wedding they have ever been too.The beach was beautiful,food lovely belly dancer and fire show really made the night, dj was brill to played all up to date music.photo album is beautiful and the dvd caught all the best moment of our day! Thanks again guys for the most perfect, beautiful day ever. 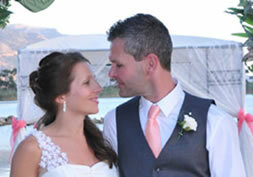 Just wanted to say thank you to all the team for our perfect wedding on Thursday. Everything was absolutely beautiful. 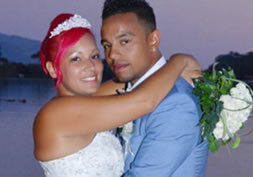 It was so stress free and relaxed we couldn’t have wished for it to be any better. Everyone commented on how nice the food, cake, decorations and venue was. I highly recommend the DJ and fireworks. 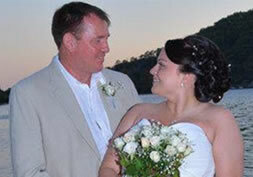 We would like to than and Lynette Carrington and Aaron Carrrington for making our wedding day so special on 13th August. It was very emotional and touching and our guests of 23 had a great time! we had the fire show, the belly dancer and the DJ who was also our guide and driver when we completed the paperwork in Fethiye. He was brilliant! I would also like to thank my hairdresser Sharon Walmsley for doing such a great job on my bridesmaids and my hair, especially my make-up as I had a freak accident 6 days before the wedding and had 3 stitches in my eyebrow along with a black eye!! 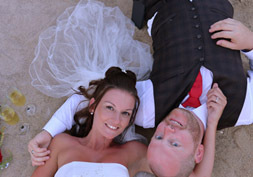 We had our beach wedding on the 29th Sept at Nicholas beach. I was so impressed with the way your team has handled all our wedding arrangements from start to finish. All email communication was quick and efficient. Also our photos were amazing and we got the wedding book the very next day! Thanks to the photographer. This has been the best way to do our wedding without any stress! The actual day was so perfect and special, a big thanks to all the team!!!! Hi here’s our testimony for 13th September 2014..
From the second we booked we knew we’d made the right decision. 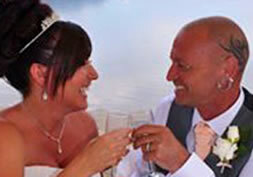 We were dealt with in such a professional and friendly manner to any queries or issues. 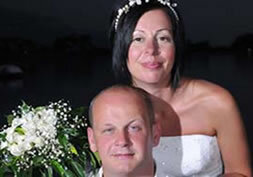 Quick responses even when in turkey meant there was no stress or frustration associated with wedding. Our wedding was such a laid back experience that was down to you as the organisers because we had nothing to worry about. When we arrived in turkey and met with our driver and Aaron we couldn’t help but feel excited and even more assured everything was going to be what we dreamed about from paper work to picking the cake any fears we buried as the process was so simple and calming. The wedding day itself was an absolute dream the car drive the photographer and cameraman were no intrusive and captured every emotion and smile of the day which was presented in the most beautiful album and disc’s containing pictures and the video. On arrival at the beach the girls were again so friendly and warming and so attentive catering to our needs, the setting was stunning as our music played and I took a walk with my dad to greet my new husband. The ceremony was short but intimate and emotional not a dry eye from any of the guests and just perfect. The food was and I quote from our fussiest guest ‘the best wedding food I’ve ever had’ the entertainment and dj I can’t fault I never left the dance floor. Our first dance was magical and the fireworks captured that moment especially. The cake, bar staff, transport back to hotels was run efficiently and without stress the setting is perfect and any body booking with this team will not be disappointed. Thank you everyone who made our day magical and memorable for all the right reasons, everyone enjoyed every second of the day and for that we can’t thank you enough. I would just like to thank you for giving us the most perfect wedding. As soon as we booked our date you were so helpful and reassuring no matter what time of day or night, Lynette spent hours on the phone to me giving me details, she really was my best friend at the time. We met with Aaron after our visit to the consulate, everything was organised and made us feel at ease. On the day a car picked us up and we arrived a little nervous but excited. The setting was stunning and so professionally done, I walked to meet my future husband to the sound of our song and sobbed all the way down the red carpet. The ceremony was moving and the translator was very helpful. After the ceremony we had champagne and photos taken. The sun was setting and we paddled in the warm sea, I felt so happy and know that there is nowhere in Britain with that setting. The DVD and Photo album were delivered to the hotel the next day and really are very professionally done. 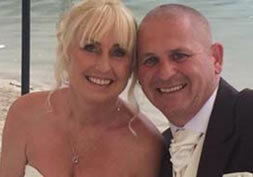 Aaron and Lynette, myself and my husband really can’t thank you enough and we highly recommend you anyone wanting a very special hassle free wedding. Just wanted to say a massive thank you to all of the team for making our wedding day so perfect. 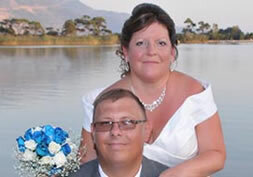 After nearly 19 years together we finally got married on the 15th June 2014 on St Nicholas beach. 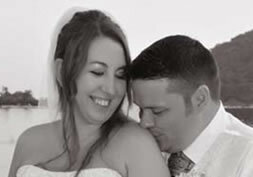 From booking it the previous June to the actual wedding day everything ran smoothly, any questions I had were always answered quickly and up until the actual wedding day we were both so relaxed as we didn’t really have to worry about anything. 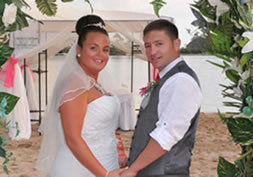 The location is amazing and we were delighted with how the beach was set up and decorated for the ceremony. There was a good selection of food all of which was very good quality and we all made very good use of the all inclusive bar. The DJ and belly dancer were great in getting the party started, although we didn’t need much encouragement! All in all the day was perfect and I wouldn’t have changed a single thing, just wish it hadn’t gone so fast. A massive thank you to Aaron Carrington the two girls and the rest of the team for our big day . It was absolutely amazing, I just haven’t stopped smiling I loved every minute of it! The team was fantastic with everything. Also like to thank Bulent for a relaxing trip and for the fab music, such a lovely man. 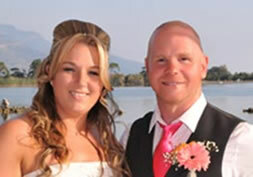 Aaron Carrington and Lynette Carrington I’ve just been looking through the gallery of photos on your website for 2013. It has hit me how fantastic your diversity of couples are. 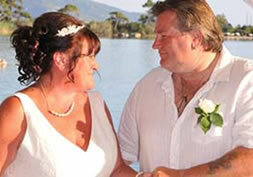 From beautiful blushing brides to gorgeous older brides exuberating confidence and happiness. Thanks Aaron Carrington, Lynette Carrington, Carole Williams and the crew for making our day on Nicholas Beach perfection! Will be spoken about for years to come by our guests! 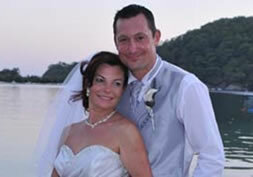 Just want to say a massive thanks to Carole, Lynette, Aaron team and the rest of the team for the most perfect wedding. It was everything we imagined and more! From the rapid email responses to any questions, to the actual day itself which ran like clockwork. We had the dj who was fantastic, the belly dancer and the fire show who were brilliant  getting guests up and involved! Hilarious. We got our photos back the day after!! And they are amazing! For any brides to be I am so jealous as I want to do it again!! But mainly want to reassure any of you with apprehensions  don’t have  everything is taken care of for you  you pretty much just have to turn up! Firstly let us say what a fantastic day we had! Aaron and the team made our day more special than we had imagined, and all of our guests agreed what a fantastic night we all had! The DJ was playing songs that no one could ignore and had everyone up on their feet for the entire night! The food was amazing! The fish was a great choice and all were impressed, also and was such a nice change alongside the chicken and steak. The whole day was our dream! The photos, the album and the DVD was perfect! And completed in such a short time! The whole family and us are truly thankful for all your hard work, cooperation and organisation to make our day as amazing as we had hoped for! 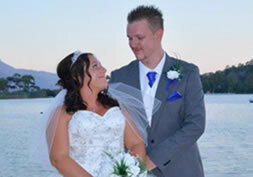 If anyone is considering of getting married in Olu Deniz with yourselves and is wanting to speak to people who have experienced then by all means give them my email address and ill be glad to rave on about our experience! Once again to you and all your team thank you so much for making our day the best one of our lives! I would like to thank Aaron and Lynette team, dj, photographer, staff at Nicholas beach and everyone else that made our day so special! They done a fantastic job from start to finish!! 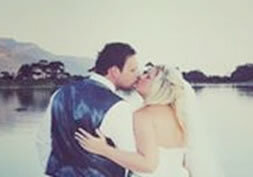 We decided to get married with Aaron after being part of my sisters wedding which took place at Nicolas beach with Aaron in 2012, their wedding was outstanding so we booked ours for 2years later. I couldn’t have asked for a better wedding and all our guests agreed. Some guests even said it’s the best wedding they have ever been to I would highly recommend Aaron’s weddings Turkey to everyone, and I can’t thank them enough for making our day a dream come true.